This game is between me and you. You are the shipper and I am a ship owner. You have contracted with me to carry a cargo of wheat from united states to South Africa. I am an Indian ship owner with ship registered in Panama. You are the shipper of British nationality with company head office in Rotterdam. On arrival in South Africa, the cargo of wheat was found damaged because of mistake from ship’s crew who forgot to close the hatches properly. As a shipper of the cargo, you want to sue me but can you really? Where do you approach? South Africa, India, Britain, Panama, Netherlands or United States? And how could you sue me? I never promised that it is my responsibility to take care of your cargo. I may argue that shipper’s representative should have checked if the cargo hatches are properly closed before the ship sets the sail. Even if I agree that it is my mistake, I may not agree with the money you might demand from me as damages. You see, without pre-set rules, it is not easy to do business. But can we agree on the terms and conditions for carriage of cargo in details during each voyage contract? It would take ages to agree to terms and conditions. That is because you as a shipper would want terms and conditions in your favor and I as ship owner would want it otherwise. So we need pre-defined rules which we both can agree upon without any negotiations. Rules related to the contract of carriage are these pre-defined rules on which shipping has been relying upon. Hague rules 1924 was the first convention related to this issue. 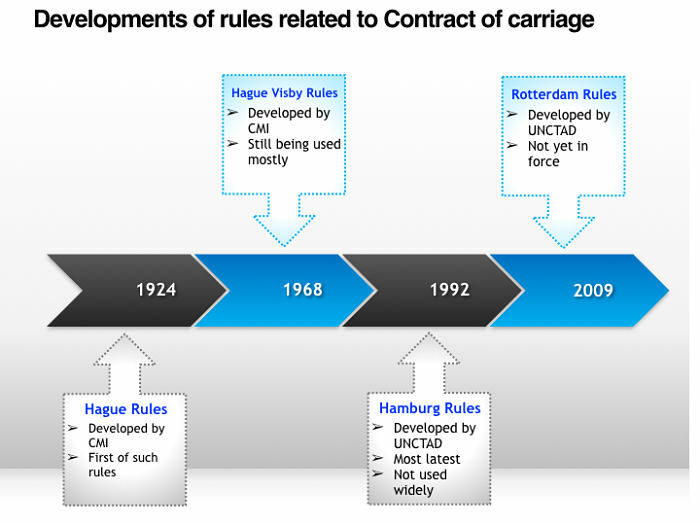 Hague rules were amended several times latest being the Rotterdam rules which were developed in 2009. Even though Rotterdam rules are the latest rules, most of the countries have chosen to stick with the Hague Visby rules. That makes the knowledge of Hague Visby rules so important when it comes to the understanding contract of carriage of goods by sea. But Hague Visby rules look so complex, especially for the mariners who off course are not lawyers. 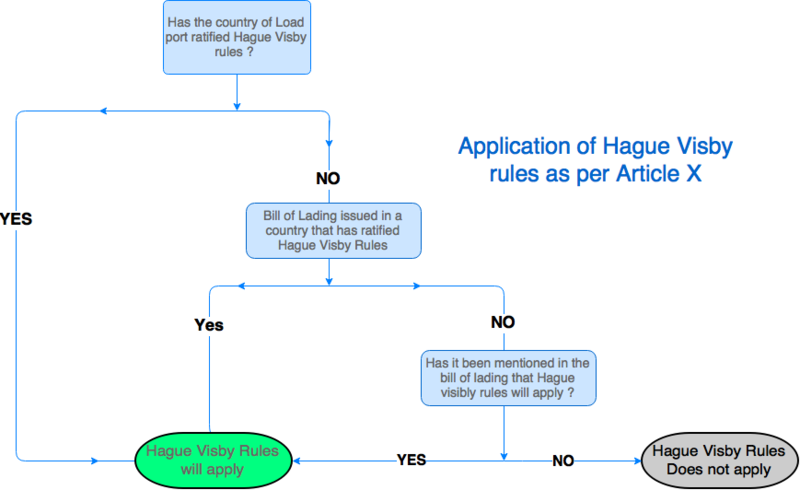 This post will aim to simplify the meanings of each article of Hague Visby rules. As I said first set of rules on this matter were Hague rules 1924. These were called “International convention for the unification of certain rules and law relating to the bill of lading“. These rules provided something for the shippers. And it was necessary. Earlier a shipowner with an old ship would take high insurance for that ship and then willfully sink the ship. He would then claim high insurance amount. There were hardly any laws to indict the ship owner and usually ship owners had nothing to pay to the shipper in this case. Ship owner will not be liable for any loss or damage to the cargo even because of the negligence of the shipowner or the ship staff. Hague rules defined some of the responsibilities of the carrier. But there were some weaknesses in the Hague rule. To address these weaknesses, Hague rules were amended slightly and were known as Hague-Visby rules. Hague Visby rules are the most used rules to this date. United nations felt that even the Hague Visby rules were in favor of the ship owners. As a result of which, United nations body UNCTAD developed Hamburg rules of 1978. In 2009, UNCTAD instead came out with more modern rules called Rotterdam rule. These rules, however, are not yet in force. In spite of new and modern Hamburg rules and Rotterdam rules, most of the ship operating countries have stuck to the Hague Visby rules. That makes the knowledge about Hague Visby rules so important. While Hague Visby rules contain a number of articles, first 10 articles are the important one. Each of these articles has been written very precisely. If you are preparing for the competency exams, you would need to read Hague Visby rules at least 10 times to get a hang of it. That is because we are not lawyers and sometimes we are not able to understand what each article actually means. I will briefly cover each article here but my main emphasis is on the practical application of the Hague Visby rules. Article I of the Hague Visby rules sets out some of the definitions. It gives the definitions for Carrier, Contract of carriage, Goods, Ship, and Carriage of goods. 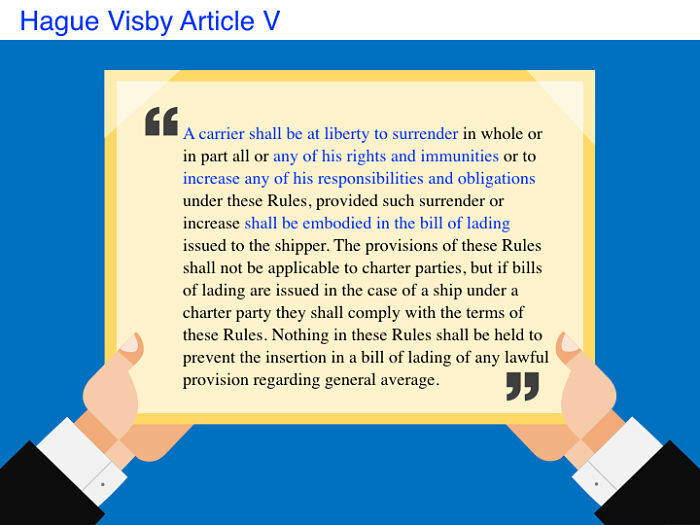 Article II is a statement that carrier cannot shy away from his responsibilities as set out in the articles of the Hague Visby rules. The ship should have minimum manning as per Minimum safe manning certificate. The ship should have all the equipments onboard and in working condition. All the supplies required to safely run the ship should be onboard. Shipper needs to give correct information related to the cargo loaded. Article III indemnify the carrier of all the losses and delays because of such inaccuracies. Now there are two time-frames that article III (6) talks about.The time frame of 3 days and time frame of one year. Both of these time frames are inter connected. As per article 3, rule 6 the carrier will be discharged from all liabilities unless the shipper sues the carrier within one year from the delivery of the cargo. Now the another time frame defines the term “Delivery of the goods”. 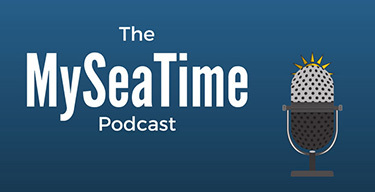 As per article 3, rule 6, the goods will be considered delivered upon removal from the ship unless notice of loss or damage is given within three days. If you need more insight on delivery of goods, you can read this case study and court judgement in one of the case. Another important point in article III is the point no 8. What does this point states ? Let me make this understand in easier way. Carrier will not be liable for any delays, loss or damages whatsoever including because of neglect on carrier’s part. With this kind of clause on bill of lading, even if cargo is damaged or lost because of carrier’s fault, shipper will not be able to claim any money. Actually it is not like that. Article III, point 8 prohibts the use of such clause in the bill of lading. Article III, para 8 says that any clause that relieves the carrier of his responsibilities as per Hague rules shall be null and void. While article III gives the responsibilities of the carrier, article IV gives some of the exemptions to these responsibilities. In simple words, a carrier will not be responsible for the damage, loss or delays if he had not caused it intentionally, provided carrier had exercised due diligence. Due diligence is a broad term and several cases has shown that it is not easy for the carrier to show that they exercised due diligence. In most of the cargo claim, shipper would claim damages by trying to prove that carrier did not fulfill his duties as per article III. Carrier will claim innocence by trying to prove that the delay, loss or damages were not in his control. Carrier would claim exemption under article IV. Claiming exemption under article IV is not easy for the carrier though. For claiming the exemption as per article IV, carrier would claim that he did whatever possible to prevent the damage. Also that the damages occured because of the factors which were not in his direct control. As per article IV, the burden to prove this is on the carrier and it can be very difficult to prove. For example, let us assume a situation where damage to the cargo was caused by the fault of ship’s crew. The carrier can try to claim exception under article IV(2a). Article IV(2a) gives immunity to the carrier in case the damages were caused by the fault of ship crew. But in reality it is not easy for the carrier to claim exception in this case. This is because the court would examine many factors to analyse if the carrier performed due diligence. In this example court could analyse if the company’s SMS manuals have the proper guidance and checklists which ship crew could have followed to prevent this damage. Another topic that article IV highlights is the compensation for shipper in case of damage or loss of the cargo. This is covered by the article IV(5). Let us understand the article IV(5) logically. Let us say that you are the shipper whose cargo has been damaged on board. I am the ship owner. Now how much compensation you would claim from me ? Ideally you would claim the price of the commodity damaged. So who will decide what is the price of the cargo or commodity that is damaged ? Also the price varies on the daily basis. So of which date the price will be considered ? Article IV(5b) answers these questions. Date of actual or probable discharge (in case total loss on mid voyage) will be the date for which we need to calculate the price of the commodity. And we need to take the price from the commodity exchange. Now what if the ship was carrying the cargo of gold. The ship owner’s freight is based upon the space on ship that he provides to the shipper and not on the value of the cargo. If the shipper declares the value of the cargo, the ship owner can take extra insurance to safegaurd himself. Offcourse the ship owner will ask for more freight in this case to cover his extra expenses. But if the shipper did not declare the value of the goods, it makes sense to have a limit on how much the shipper can claim from the carrier for damages or loss of goods. Article IV (5a) defines this limit. The maximum liability for carrier can be 666.67 SDR per package or 2 SDR per KG of the goods damaged or lost, whichever is greater. Now we know that as per article III, carrier cannot include any clause in the bill of lading with which he can lessen his responsibilities. Article V is just opposite of this statement. Article V gives the liberty to the carrier to increase his responsibilities and liabilities. Article V also gives the right to the carrier to surrender his rights and immunities (for example as per article IV) provided by the hague Visby rules. If the carrier decides to do so, it need to be included in the bill of ladings. For example if the carrier and charterer agree to increase the maximum liability for carrier from SDR 666.67 per package, article V allow them to do that. This increase in agreed liability for carrier need to be mentioned in bill of lading for it to have effect. This agreement does not contradict the public policy. This article cannot apply to ordinary commercial shipments and there should be reasons to have this special agreement. One example of such special agreement can be the cargo carried in coastal voyages. Article VII is a simple statement of fact. 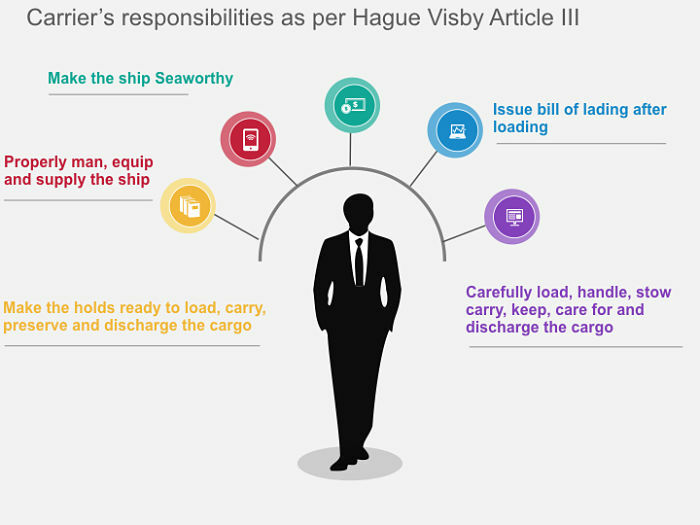 It state that hague visby rules defines the carrier’s responsibilities from the time of loading to the time of discharge. A shipper and carrier are free to decide the extent of responsibilities and liabilities before loading and after discharge. As per Article VIII, if there is any other statutory law related to the limitation of liability of the carrier, that law will take precedence over these rules. Article IX is again self explainatory. This article states that if these rules contradicts any international convention or national law, that convention or law will have the priority. I believe article X should have been the first article of the Hague visby rules. This article defines the extent of applicability of the hague visby rules. This article states to which contracts or bill of ladings the hague visby rules would apply. As per article X, the application of these rules falls in two categories. Application by force of statute (Article X, a & b). That is if the bill of lading is issued in the country which has ratified the hague visby rule, the hague visby rule will apply to that bill of lading. Or if the load port is in a country which has ratified hague visby rules, these rules will apply to the bill of lading issued for the cargo loaded. Application by agreement between two parties. This mean that even if the hague visby rules do not apply as per Article X (a or b), if the carrier and shipper has mentioned in the bill of lading that hague visby rules would apply then these rules will apply to the bill of lading. A cargo is loaded from Bangladesh (not ratified Hague visby rules) for discharge in UK (ratiefies Hague visby rules). The bill of lading is issued in Bangladesh. 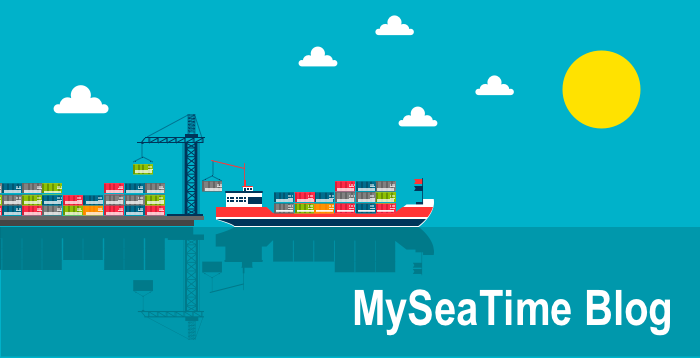 Will the Hague visby rules apply to the bill of lading ? Now in the same condition if the shipper and carrier agree to have the hague visby rules incorporated in the bill of lading, the hague visby rules would apply to the bill of lading. Why is the article X so important ? Let us say a shipper wants to sue the carrier as per hague visby rules for loss or damage to the cargo. For him to successfully sue the carrier as seek compensation as per Hague visby, hague visby rules should be applicable to the bill of lading. Now if the hague visby rules do not apply in his case, he cannot use other articles of the hague visby rules to sue the carrier. In spite of many years and more modern rules for carriage of goods in place, hague visby rules still dominates the shipping industry. This makes the knowledge of Hague visby rules so important for anyone connected with the carriage of goods. Knowledge of these rules can a give new view point to the seafarers about what are the responsibilities of the carrier for whom they work. Good article. Thanks for kind explanation. Glad you liked it Song..
Well written with simple explanation. Glad you liked it Abhijit.. Sure the post describing the difference was already on my list. Nice articles sir,can you please post some article on damage stability practical aspects. Yes sure I will write on damage stability..One of my favorite topic. It was a hot topic for Paris MOU couple of years back. I have read all your articles and found it really informative. Would like to take this opportunity to request you if you could write something regarding navigation in high latitudes when gyro and magnetic compass becomes unreliable/erratic or you could just give me an idea on it. Thanks in advance sir. Glad you liked it Sunny. Yes I will put that topic in my list of topics for writing..
this is my second topic from you. nice to understand with logic's given. Glad you liked it Basavaraju.. Thanks a lot for such a good explanation. Glad you liked it Rajkamal..
Glad you liked it Leo.. This clause means that as long as seal is not tempered (for example seal of container), the carrier will have no responsibility for the cargo load and weight..
very interesting article and topic. Captain Rajeev , you explain it so simple. Glad you liked it Yash..
Sir, please write about differences between Hague and Hague visby rules. If you have already written about it, kindly reply with the link as I couldn't find it. Thanks in advance. I will write on that shortly Rajeev..
Glad you found it useful Manish..
COGSA ..how it is different from hague visby or hamburg rules. Hague visby rules and hamburg rules are international conventions. When a country adopts these conventions, they do so by including these in their local laws. 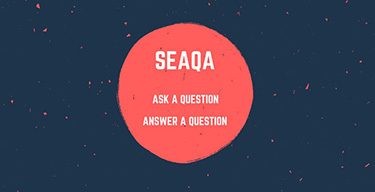 COGSA is the local laws of the country related to carriage of goods at sea. Glad to hear that Nithin..
very well explained... Thank you for your efforts. Very well explained. Easy to understand for beginners like me. Glad you found it useful Rohit..
Rajeev many thanks , I searched for a simple definition of Hague Visby Rules and found your explanation very helpful . Glad to hear that Rafie..
i been using ur all blogs as a informative material and as well as simplified version for all topic which was not so clear and easy with the book......many thanx to u sir, heartly blessing fr ur fab job sir. i am little confused or u can say, i need u to correct me, i one of ur blog where u have post a chart showing difference between Hague and H-V rule states "Cargo is loaded from non-contracting state even it is to be discharged in contarcting state " Hague-Visby is applicale WHEREAS, in this blog at last when u give example of Bangladesh which not ratified H-V rule and it is a loading port but London is ratified H-V, you said H-V is not applicale. this seems to be contardictory. plz explain and correct me on this post or on my mail. Thanks for pointing this out Pritam. I have now corrected the infographic. Good job Rajiv. I did my Masters almost thirty years ago and have now shifted to sailing on Offshore vessels. Here we dont deal with these issues of COGSA. But after doing a drill on Jettisoning wanted to explain to my junior officers. I had to brush up on the various aspects on carriage of goods by sea act and York Antwerp rules. Your drawing block diagrams helps a lot. Keep it up. In the info graphic of developments of rules ,sir you have shown Hamburg rules in 1992 ,isn't it 1978??? And later in 1992 it's UNCTAD/ICC rules for all multimodal transportation documents MTD ?. Dear Capt Rajeev, Thank for your vẻry useful sharing...However, I have a question that the party who sue owner now not Shipper but consignee(real cargo procession ) under bill of lading- Then how owner can protect themselves for shortage cảrgo matter for example? Very well explained sir. Thanks a lot. can you please explain this particular article of Hague Visby " action for indemnity against a third person may be brought even after the expiration of the year provided for in the preceding paragraph if brought within the time allowed by the law of the Court seized of the case. However, the time allowed shall be not less than three months, commencing from the day when the person bringing such action for indemnity has settled the claim or has been served with process in the action against himself. Nice written and well explained. Wish you every success in professional carrier and life. Very nicely explained. Thanks allot. great and simple explanation very practical examples, thanks a lot! India has not ratified COGSA. But ratified Hague rules and not Hague Visby. Pls correct if m wrong. Pls can you explain the reason for the same. As this one of the hot topics for orals...thx in advance. Well explained... Thank you sir. GD, Dear Captain. You wrote: "A cargo is loaded from Bangladesh (not ratified Hague visby rules) for discharge in UK (ratiefies Hague visby rules). The bill of lading is issued in Bangladesh. 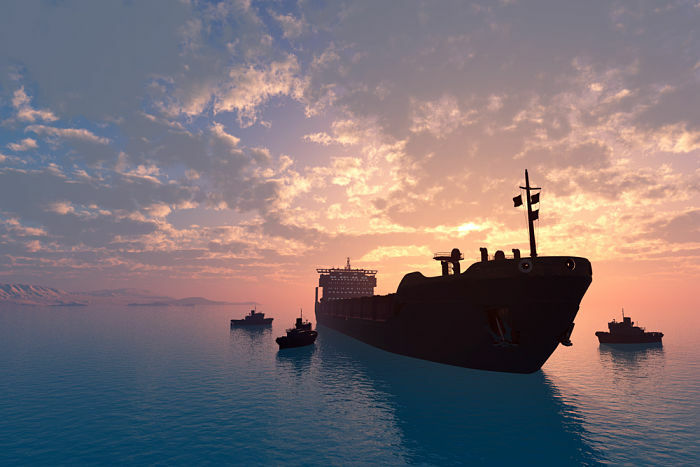 Will the Hague visby rules apply to the bill of lading ?" You answered that no, but I doubt. I suppose that yes, because we can see in Synacomex 2000 and Congenbill 1994 that "When no such enactment is in force in the country of shipment, the corresponding legislation of the country of destination shall aply..." So, the country of destination is UK that ratified the HV rules and thus they are applicable, aren't they?